Smoking kills. But you knew that already. So does second-hand smoke. Inhaling a smoker’s exhalations can cause heart disease and cancer. 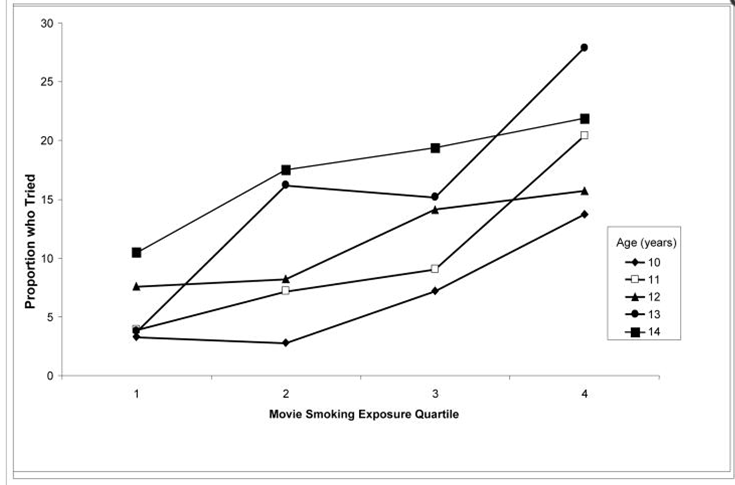 If people in Hollywood care about kids (beyond getting their money), they’ll stop promoting cigarettes in their movies.